A couple of days ago, Michael wrote the post “Monkey Business…”. The post illustrated my surprise seeing 20-ish monkeys, which to Michael was not an unusual event. 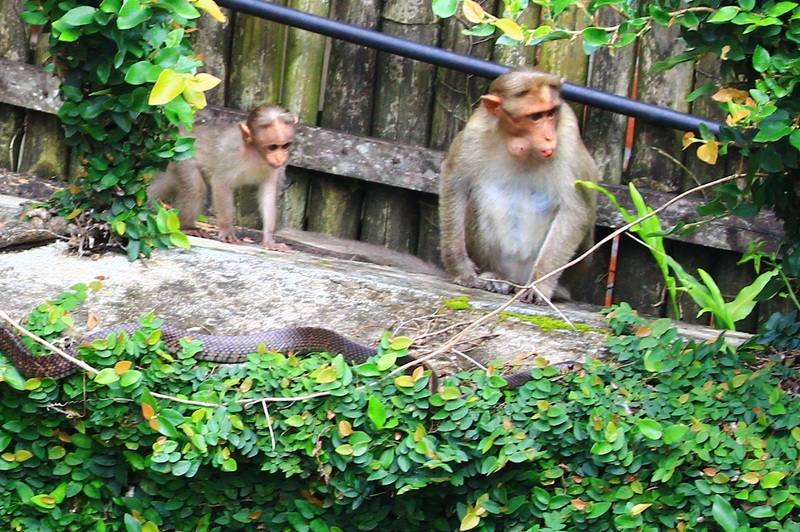 Over the last week I too realized that a sudden appearance of the Macaque was just a part of daily life here. 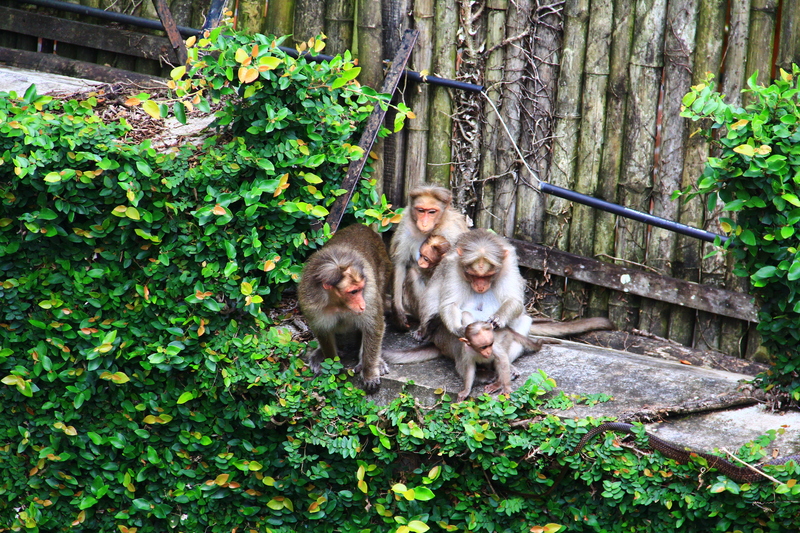 However, I definitely enjoyed my first encounter of a Macaque family outing. I hope you enjoyed as well. As I was enjoying the post by Michael, something in the second picture caught my attention after a while. 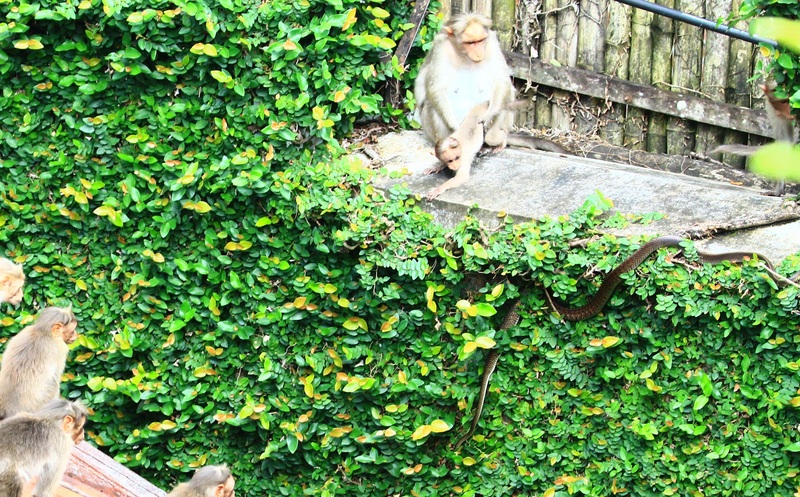 In case like me you did not notice it in Michael’s post, it seems like the Macaques are observing something on the lower right. If you click the picture you will see a larger view. Did you see the dark ribbon (or it may look to you like a leather belt, if you read Seth’s post on a similar topic)? I really did not know it was there when I was taking the photos or when I was going through all my pictures. Just like a treasure hunter, I went back to my Picture folders and start digging for a more clear picture and I found some that included clear views of a snake. 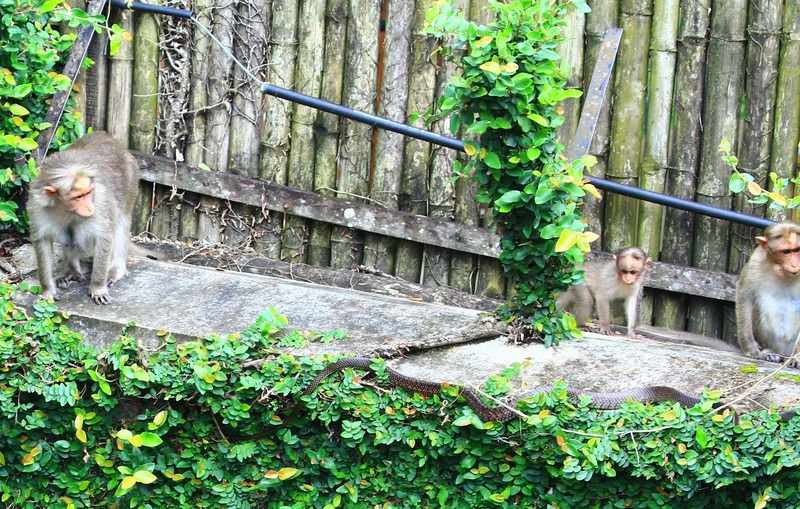 As I look back at these pictures, I realize that the Macaques are in fact looking at it. How had I missed the highlight of the scene? As a Student Supervisor at The Statler Hotel at Cornell University, I considered myself to be very attentive to details since part of my job is to inspect all the rooms in the hotel concentrating on the details that a Room Attendant may have missed. In hospitality, details matter. But I have not yet had a course that prepared me to notice this detail.